Following his barnstorming talk at the HIE Strengthening Communities in Aviemore, this week we hear from Professor Frank Rennie on rural development in the Highlands and his dislike of the word ‘remote’. Several times during my life I have heard the statement that “It doesn’t matter who owns the land, it’s what you do with it that counts.” This has almost always been said to me by a “private landlord”. I have always thought that this is a particularly insidious misconception. It is equivalent to saying that it doesn’t matter how much money you have, it’s what you spend it on” despite the fact that the eight wealthiest people on the planet own as much as the poorest 50% of the global population. Eight people compared to three-thousand-six-hundred-million people? I think most of the latter would challenge that claim to irrelevance. This is what is so exciting about the current movement in Scotland to consolidate community land ownership. It has been documented in numerous books that Scotland has the most concentrated pattern of private land ownership in Europe. It has also been documented in our history, through anecdote, oral history and academic research, that the ownership of land in Scotland has always resulted in certain rights for the landowners, which in turn has conferred economic, social, and political advantages to a very small portion of society. The reason that this matters is that the contemporary recognition of “rural development” extends well beyond the twentieth century concerns simply with economic “improvement”, to recognise also the social, environmental, and political aspects of the ways that society seeks to improve the quality of life for its citizens. Among the groups of people with whom I work, in the University of the Highlands and Islands, this diversity is reflected in many ways which are perhaps not immediately associated with concerns about who owns the land. For example, there are people who take a historical academic perspective, dwelling almost entirely within the 18th and 19th centuries. Others are more concerned with affordable housing, rural health, or the management of the natural environment for the purposes of sustainable biodiversity. Although I personally, as Professor of Sustainable Rural Development, have over the years worked diversely with crofting matters, community engagement, and environmental research, much of my own work over the past two or three decades has been with the extension of internet connectivity to various aspects of rural society, especially in providing high quality higher education. Why is this important for the future of land-use? Precisely because it impacts on the ability of people living in rural and very rural areas to take a full and active part in the society of the nation. I don’t like the use of “remote” which implies distance from something that is more important, when the most important things to me are all around me. I am central to the landscape, not remote from it. When any person, young or old, is compelled to move out of a rural home to a city, simply in order to receive an education, or to participate in the myriad services and opportunities which contemporary society takes for granted, that is a loss to that rural area. The migration of young and talented people from the rural areas of Scotland to every part of the globe has long been one of our chief exports. The loss of population and talent from the rural areas, even temporarily, is one of the biggest impediments to improving the quality of life for all. If an area is haemorrhaging population and talent, fewer people remain to produce food, to manage biodiversity, to operate vital services, to provide the creative spark in local societies and clubs, and to invigorate civil society. Recently I wrote a paper* which aimed to articulate the importance of a link between renewable energy and community sustainability. This connection can influence not only the more pragmatic aspects of day-to-day issues such as access to basic services or waste re-cycling, but more importantly, perhaps, it can influence how the people in these communities begin to think about their futures. Community access to the capital asset of community-owned land, together with the accrual of revenue assets such as wind turbines, visitor centres, and the infrastructure such as community halls, piers, or hydro schemes, mean that the community is able to influence or control important decisions on re-investment and regional planning. The community-landowners have a longer-term perspective, and a broader perspective, than the management of the land purely for financial gain. There is a societal benefit to encourage affordable local housing, the retention of money through local reinvestment, the conservation of the natural environment, and the support of local jobs and services. The big change recently is that community land ownership not only enables this wider vision, but provides the means to take decisions on the creation and governance of these initiatives to provide benefits for the whole of the resident population. The newly-formed Scottish Land Commission were correct to identify the re-population of rural areas as a key objective. The Scottish Crofting Foundation are correct to press for the creation of new crofts as a means of encouraging community resurgence in rural spaces. The role of an academic organisation such as the University of the Highlands and Islands – distributed throughout the northern landmass of Scotland – is to robustly research and educate about this new perspective, this new reality. 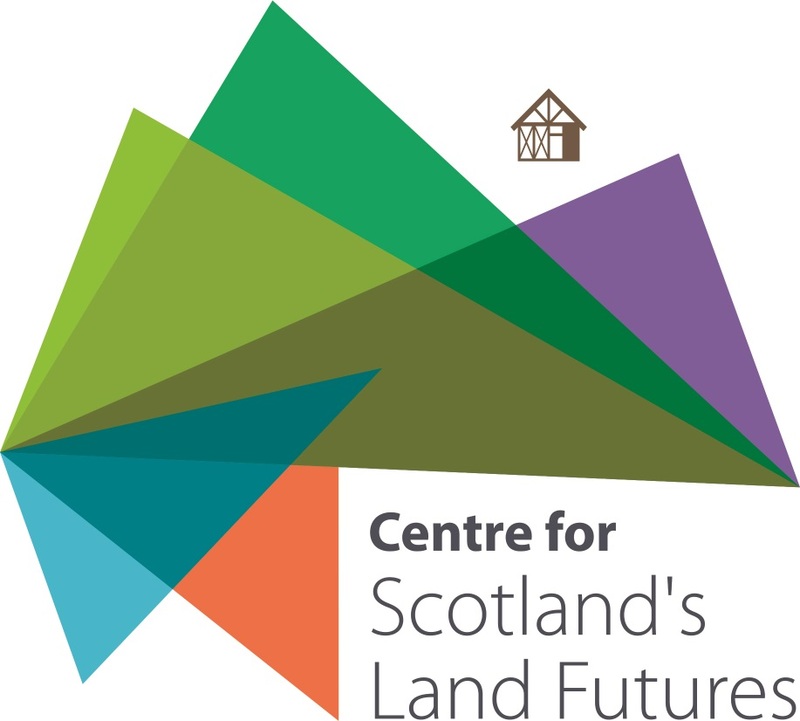 Whether it is about providing a more nuanced version of historical and cultural interpretations of Scottish experiences of land and rural development, or encouraging the investigation of innovative ways to strengthen the micro-economy, basic services and amenities, or civil governance, it is important that we take an active part in interrogating our own past, present, and future. Educating about these changing interpretations provides new opportunities for understanding, and for appropriate action which drives the circle of change. My ability to buy goods online, download films and literature, communicate flexibly with students and research colleagues who are distributed throughout the world, all from my own desk in the Isle of Lewis, affords me a quality of rural life that was undreamt of by my parents generation. This in turn allows me to live where I choose, on the most north-westerly edge of the most north-westerly landmass in Europe, not remotely, but central to the issues and concerns of my life. It allows me to raise a family here, to participate as I choose in the activities of the local community, and to have a palpable and meaningful interaction with how this land is managed. It allows me an opportunity to live, work, and interact with the natural, built, and social environment of this area of land with a richness which would have been impossible for most academics in previous times. Working with students from all parts of Scotland and far beyond, to understand the subtleties of “rural development” is enriched, for me and for others, by combining opportunities for academic critical analysis with being able to “walk the talk” of a rural lifestyle. Surely that must be a key indicator of success whenever we talk about “improving the quality” of rural life.